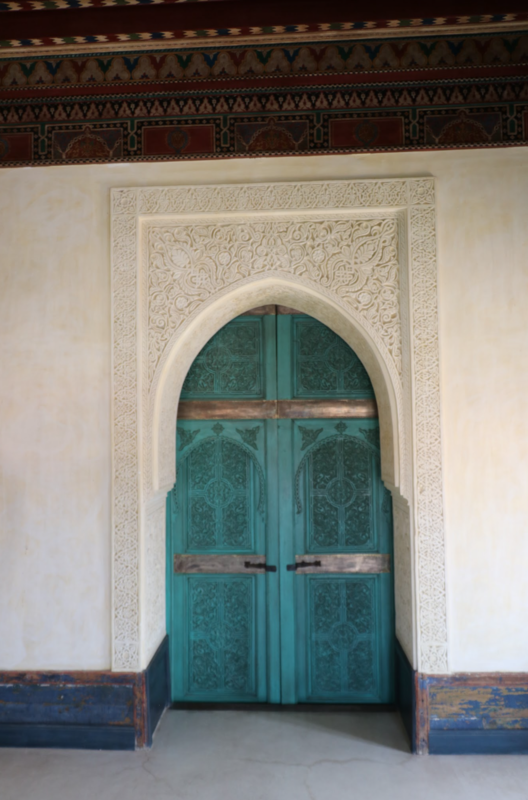 Every Moroccan adventure begins through colorful horseshoe-arched doorways, and into the courtyard of a gorgeous riad. 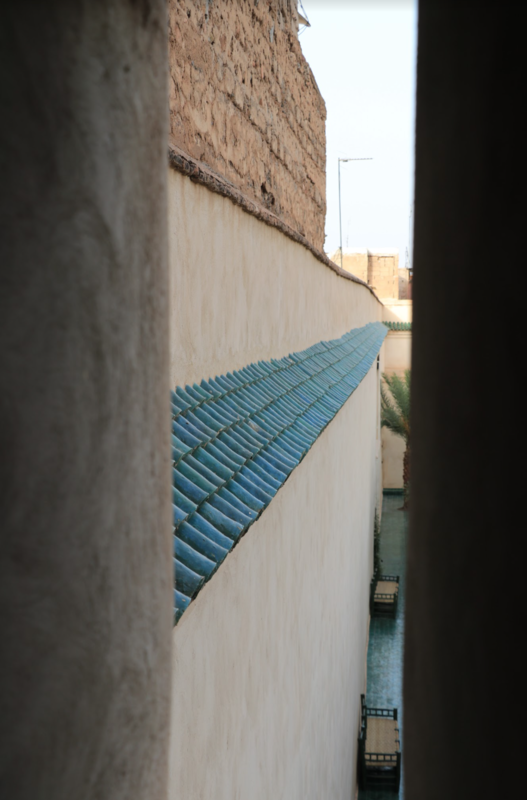 Dowels reinforce Islamic mashrabiya, intricate wooden-carved privacy partitions, which surround the courtyards, shielding guests from residents. The doors and partitions and tiled floors feature lively geometric printed motifs, each more beautiful than the next. 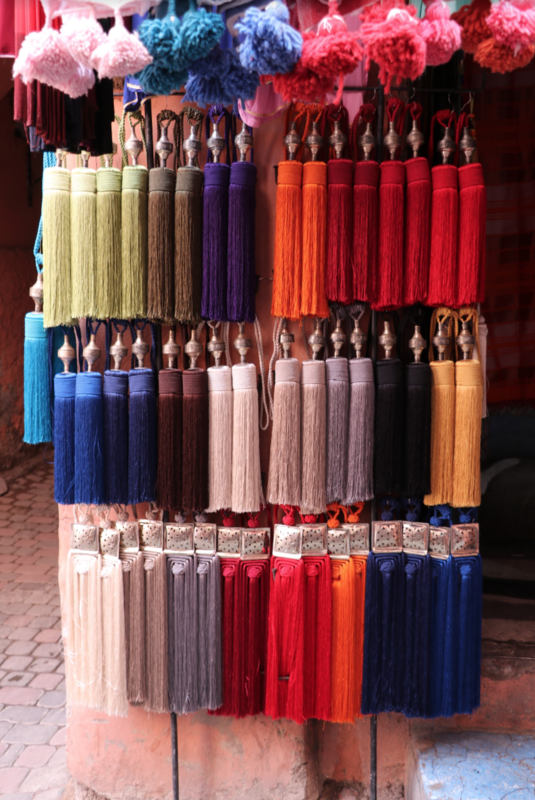 Morocco is known for its bright colors, especially in its dyes and textiles, but they stand out because they pop against the ruddy, earthy, naturalistic backdrop. 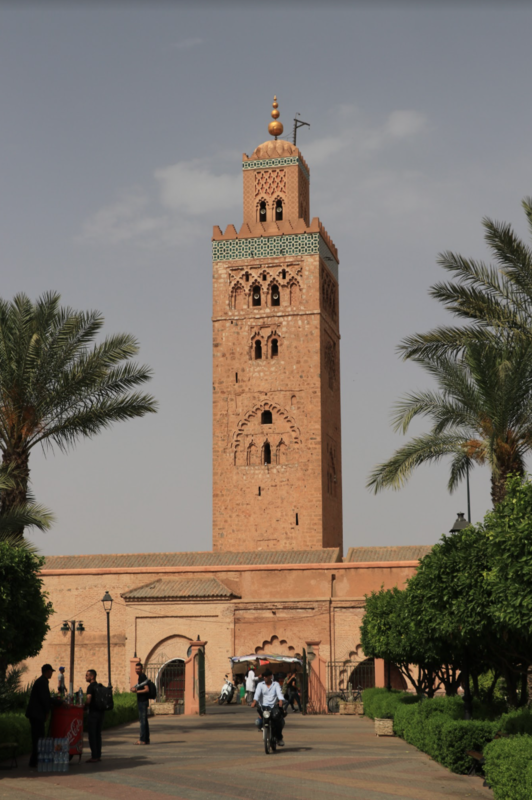 Stucco and clay: Morocco is famous for its old mud-brick structures that still stand today, some of which date as far back as 110 BCE, during the Idrisid Dynasty. Bordering both the Atlantic and Mediterranean, the country has a long history of invasions and settlers, thus European influences of Spanish and France and a bit of Italy can be seen throughout the country’s architecture. Wood, plaster, metal, and ceramics: The natural materials maintain their natural textures and colors throughout, as though the structures they comprise were as lived in when they were first erected as they are today. 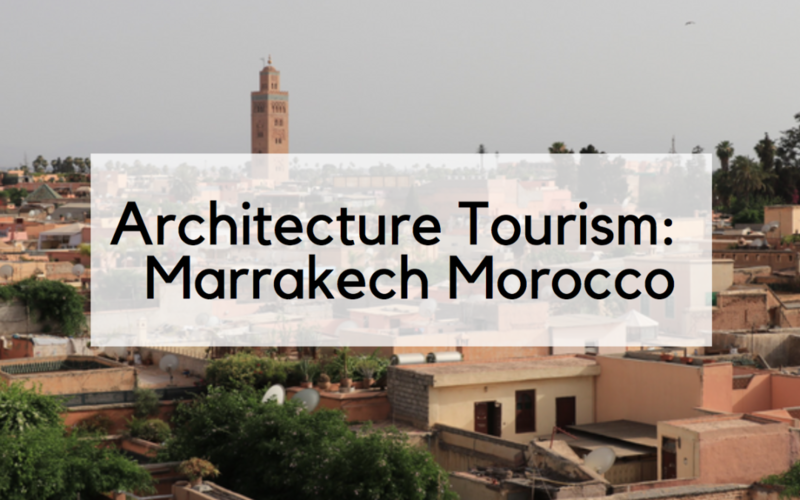 Tiles, water features, Geometric Patterns, and, of course, the mosques, are hallmark influences of Islam on Moroccan architecture. 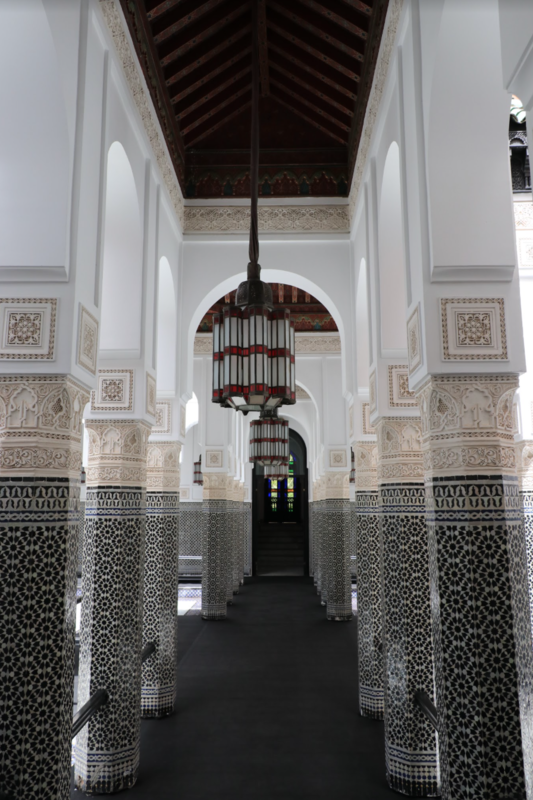 These elegant and calming touches were the direct result of Idris I of Morocco’s conversion of the Berber tribe to Islam during the Idrisid Dynasty reign from 778-791. 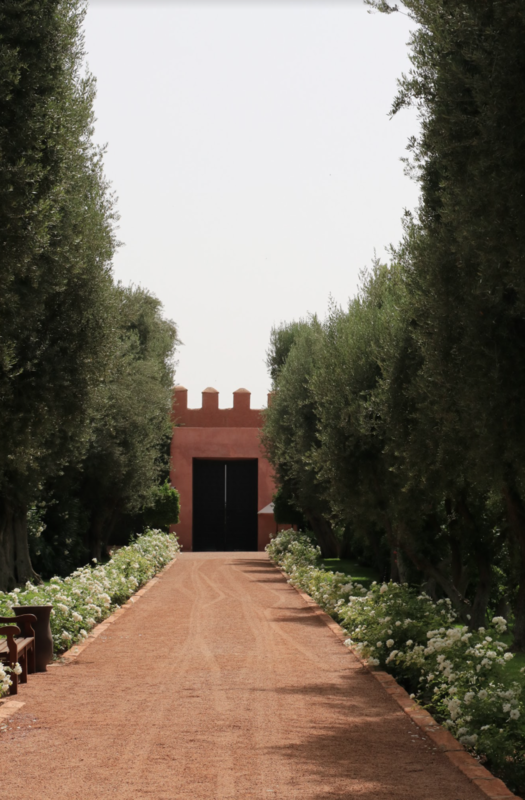 He is regarded as the ‘Founder of Morocco’ and his influences are what define the country’s style to this day. 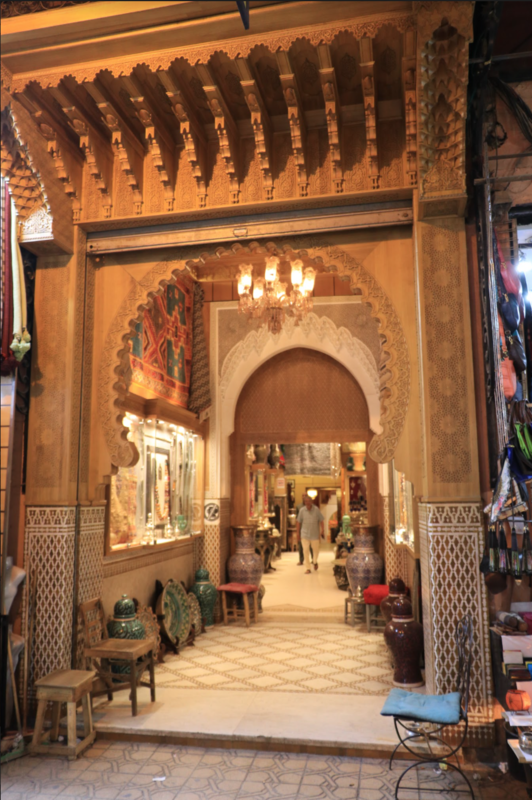 The famous archways and overlapping hand-glazed roof tiles seen throughout Morocco can be attributed to the Moorish (Spanish) settlers who reigned over Morocco and Southern Spain through the 12th, 13th, and 15th centuries. 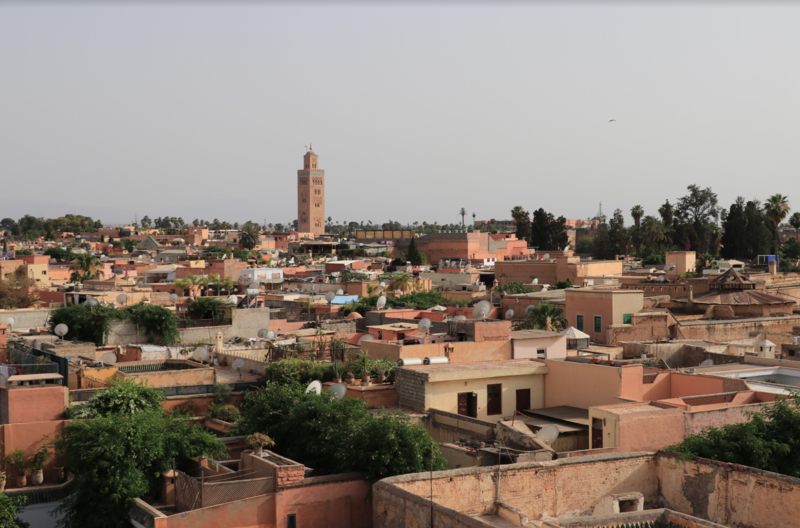 The French ruled Morocco in the year 1912 and their influence can be seen in the way they implemented build codes: more land had to be dedicated to outdoor use and courtyards, roofs should be flat, balconies couldn’t invade neighbors’ privacy, and buildings could no longer be built higher than four stories. 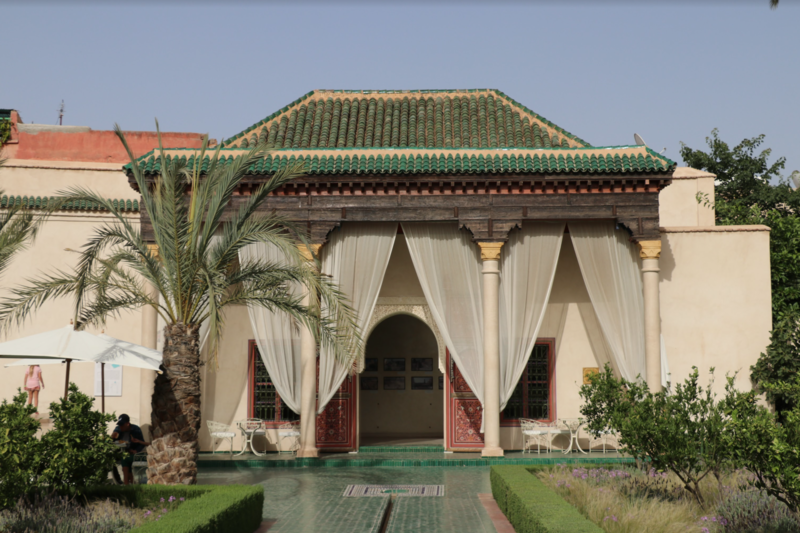 When you think of Moroccan architecture, you’re likely picturing a riad: a home consisting of two or more stories that overlooks a courtyard. Comparatively, villas stand alone and don’t have to follow any particular traditional architectural rules.